As everyone knows, T. Boone Pickens has had an immeasurable impact on the way America does business. From his pioneering role as a shareholders’ rights advocate to his legendary renown in the energy industry, Pickens always has a plan. Readers of the current issue of The Land Report will learn how the Oklahoma native has applied this same goal-oriented approach to revitalizing his beloved Mesa Vista Ranch. It wasn’t too long ago that the 68,000 acres he currently owns in the Texas Panhandle was essentially overgrazed cattle country. But with keen foresight and plenty of stewardship, he was able to nurture and develop a quail hunting property that is without peer nationwide. Enjoy this issue’s cover story: a tour of the Mesa Vista Ranch featuring text by Ray Sasser as well as breathtaking photography by the State Photographer of Texas, Wyman Meinzer. 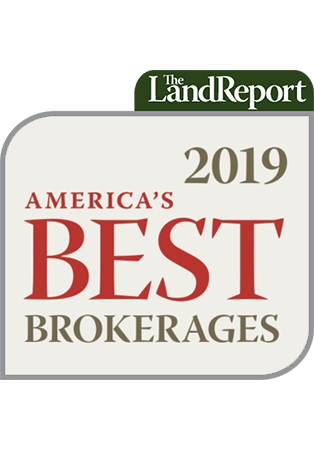 In addition to this Land Report exclusive, the winter issue also includes an opportunity to review The Land Report Top Ten, featuring the nation’s leading listings. Another must-read article is the story of Taylor’s Trees, which many have already perused at Land Report.com. 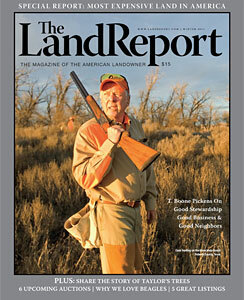 Click here to enjoy the digital edition of the Winter 2011 issue of the Magazine of the American Landowner. Can I order back orders? 1 Pings/Trackbacks for "The Land Report Winter 2011"